 San Luis Obispo Rugcutters – Swing dancing and lessons every Monday! Since 2000, the SLO Rugcutters have been hosting weekly dances at the Madonna Inn every Monday night from 8-11pm. We starting hosting dance lessons from late 2014 to mid-2018 at the Claddagh Dance Studio in SLO, with Level 1 at 7pm and Level 2 at 6pm. Starting September 3rd, 2018, we are now located at the World Rhythm & Motion Studio in SLO and continue to provide swing dance lessons for all ages and experience levels on the Central Coast. We are located in the World Rhythm & Motion Studio, 3422 Miguelito Court, San Luis Obispo, California. Join us for classes every Monday night before dancing at Madonna Inn. Swing dancing is a fun an exciting activity for all ages. Join us in class and at the Madonna Inn for a night of dancing each Monday. Beginners always welcome! Free social dancing Monday night from 8-11pm. Come check it out before taking a class if you're not sure the dance is right for you! Want even more dancing? Our friends over at CP Swing are a Cal Poly student run dance group that offers dance and lesson opportunities for both swing and blues. They host semi-annual workshops bringing in talented teachers from all over, along with a yearly Lindy Exchange which draws hundreds for the weekend!